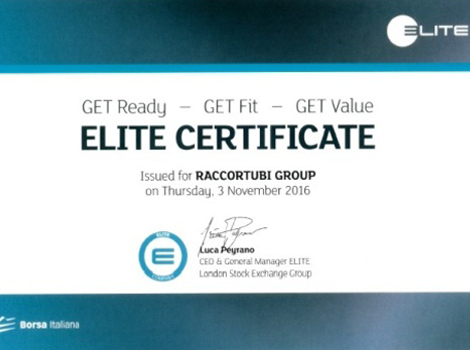 On the 3rd of November 2016, at the Italian Stock Exchange in Milan, Raccortubi Group received the ELITE Certificate on completion of its program of business growth. As stated by Raffaele Jerusalmi, CEO of Borsa Italiana and President of ELITE, the Program is a model that supports companies in accelerating their growth by attracting international financial operators or to prepare themselves for the Stock Exchange listing. With its subsidiaries in Dubai, Singapore, São Paulo, and the latest acquisition in Aberdeen, together with its branch office in London, Raccortubi Group has deployed its global reach backed up by its manufacturing plants in Italy. Receiving the Certificate only after a little more than a year from joining the Program is a clear sign of the Group’s sound organizational structure driving its fast pace in development and growth. 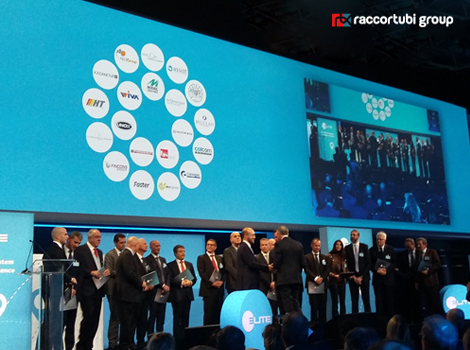 Furthermore, the award is such an important achievement since it shows that Raccortubi Group is already matching the critical and essential requirements for stock exchange listing purposes in line with the requirements and complexity of the current business world.